:Sechs is Hot, Details Dec. 12th,Casino Royal NYE, Free Bottle Wine. This is as really fast newsletter today. Jon and Iza are coming over shortly, we are going to Pierz to visit my mother for her assisted living Christmas party. She has been failing as of late, at 93, and I believe this will be her last Christmas. Below are the details for our Christmas Thank You. I look forward to seeing you on December 12th. It won't be long and New Year's Eve will also be here. At the bottom of the page are also the details of our New Year's Eve celebration this year. As being supposedly retired, we are trying to phase me out of the planning for some of the events at the winery. Jon and Andrea, our new young worker and official wine-making student, have put together a plan for NYE, it is a Casino Night. As I understand the details, entry get you access to our appetizer buffet for 4 hours, two drink chips, plus play money equivalent to another glass of wine. The games include, but not limited to, Texas Holdem, 5 card Draw, Blackjack, and Bingo. Lastly, I have been really busy is our garage this week with a new project for the winery. Also, good time to time to give away a free bottle of wine. What am I building for the winery? Remember, if you are the only entry, easy bottle of wine. Black Friday was our official release of the new hard cider label, "Sechs in a Bottle". This label name has been really fun at the tasting bar. It give you opportunity to ask people questions like, "Have you had Sechs yet?" Everyone has been smiling with this kind of discussion. One lady bought a bottle and said, "I've never paid for Sechs before." C U Black-Friday Tomorrow, Details Dec. 12th Thank you. Happy Thanksgiving! A little snow is flying, Mary is upstairs preparing for Jon, Anna, and Iza; Scott and McKensey to arrive at noon today for our turkey feed. I'm interested to ask Iza how the bingo at school went on Wednesday. Tuesday evening she was over and helped me plant grass seed on our back lawn. We had most of the yard re-contoured this fall to allow the rain to run away from the house instead of into the house. She was excited about playing bingo at school. All the grades at the same time and when you win you have to go to the library to get you prize including having to "gobble gobble" all the way there. Don't forget The Best Black Friday tomorrow. I will be at the winery to help, I am looking forward to this event. Also below is listed our December 12th Christmas Thank you. This Saturday and Sunday, our music is Just Jerome playing clarinet, saxaphone, keyboard, and voice. Performing a variety of music Genre. Each day 2 - 5 pm. On behalf of all of us at Millner Heritage, Happy Thanks Giving and hope to see you tomorrow. the best wine deals anywhere. 2. Free 5 Wine Tasting! 3. 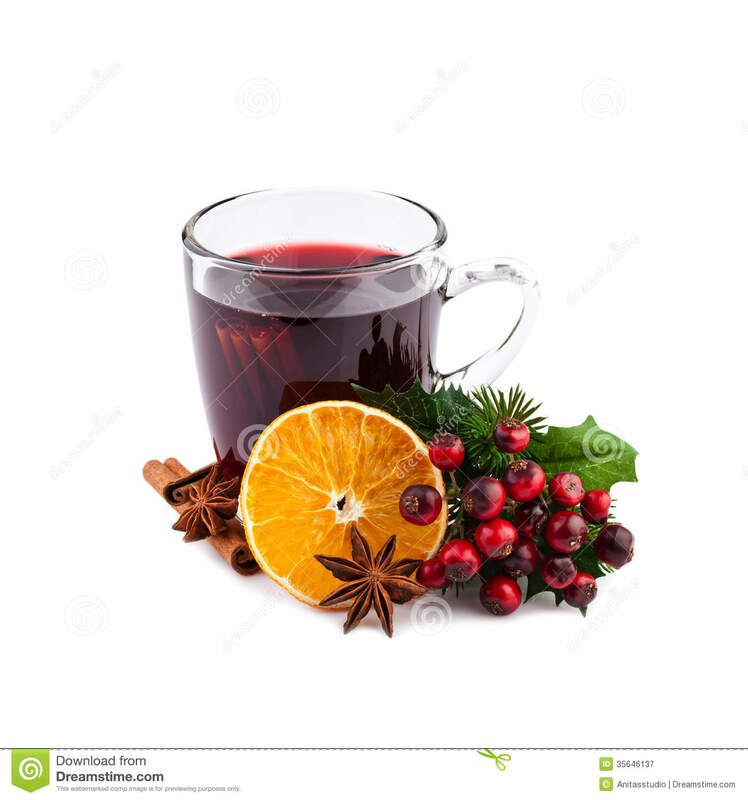 Free Hot Mulled Wine! 4. 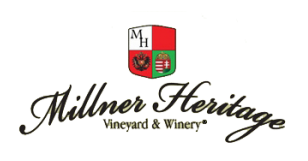 Complimentary Millner Heritage Hungarian Meat & Cheese Appetizers! 5. All General Store items at 50% off, Yes! Music "Ordinary Folk", 2 Less Dear, By the Truck, Best Black Friday, and Abs! 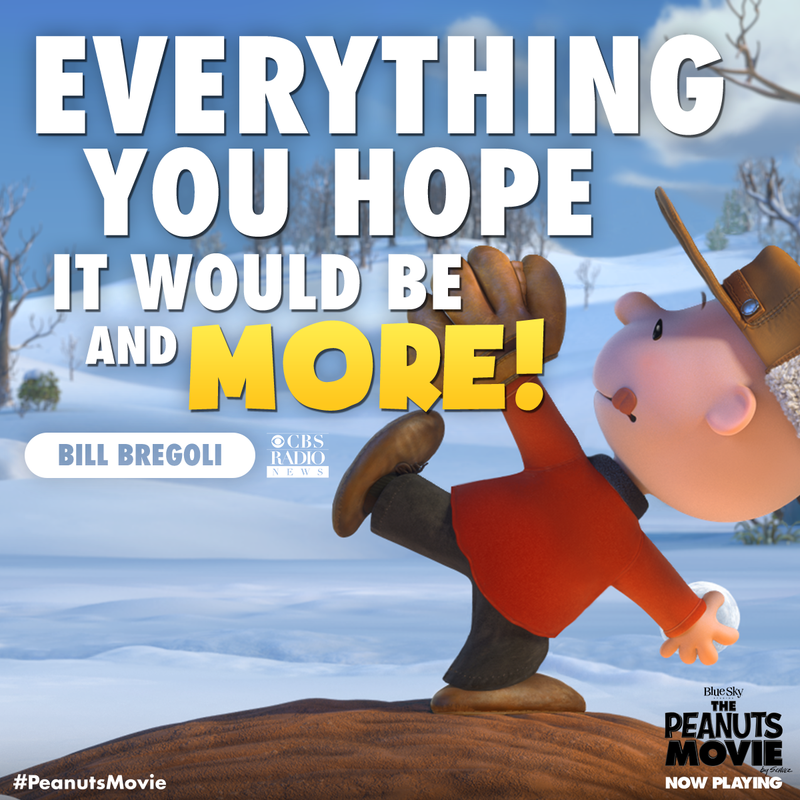 Last Saturday I took Iza to see the new "Peanuts" movie, Charlie Brown. I suppose hanging around us old people a lot, she is growing up fast that this movie was maybe a little tame for her. At one sad part for Charlie Brown I told her I got a little teary eyed, she didn't. When she talked to Grandma about the movie she said it was really good, I sensed her response was seasoned with gratitude for Grandpa going our special for her. I thought this was really neat to see in her. We have now two less deer to eat our grapes, Jon's neighbor Brian and his huntig partners got two does. This brings a question into my brain, is does the correct for for two female deer? He shot two does. Compared to, he does a wonderful job of shooting deer. Time to check this one out. Click on book to see more. Last evening I was working in the equipment building making room for a truck load of wine bottles. It started raining and got ugly out, Brian was still in his deer stand, I was nice in dry in the steel building. Maybe I don't miss hunting. Jon did get another run of MN Crisp bottled this week and the labels for the new label "Sechs in a Bottle" should be on the way here. This is the cider made from 5 apple varieties and one grape, hence the name "Sechs" the German word for six. This morning he called to tell about a slow down with pressing the grapes for the 2015 vintage of Müllner Nice, our ice wine. The bins of grapes came out of a walk-in freezer and are too frozen to press. He'll have to do most of the work tomorrow allowing a little thawing time. It should be good, a bigger vintage than last year's which won the best of show, specialty category at the ICCWC. To read all the results click here. After getting the cables buried for our new parking lot lighting, it was time to resurface the parking lot. We have had good results with recycled concrete. When it get packed it get hard like a rock. We will try to make your visit the best of your shopping day. Living the vineyard and winery job is fun, at the same time it is a hard job. Sometimes we do get tired and at those times it is really nice to get a good review. This week a wonderful review came in from Tripadvisor.com . If you'd like to read it click here. Playing 2 - 5 pm. With wonderful fall weather we're getting a head-start on pruning. Time to give away a bottle of wine. Name the person in this photo. Send your guess to donmillner@gmail.com with the subject line "Nice Shirt or How are your Abs?". If you are the only entry, easy bottle of wine. Don't miss the Hungarian Harvest Fest and Grape Stomp. T he Hungarians are Coming! Time to get an early start to the day, have much to do in setup and prep for the Hungarian Harvest Fest and Grape Stomp. I am afraid that the stomp part of this festival may easily be over looked. You know, the Hungarians are practically professional grape stompers. Anna, our Hungarian daughter-in-law, told me that in parts of Hungary they really used to stomp the grapes in big tanks to make the wine, recent years. They hook their arms together and work as a group. Big feet should help. On Tuesday this week we harvested the Brianna grape, about one and 3/4 tons, so we'll have more Schnickelfritz coming. Last Sunday we had a controller cable on the tractor hydraulic system break, so the grapes we handled with pails to the destemmer crusher, this is the machine that does the Lucy job on the grapes. We had a very good lunch of sloppy joes, potato salad, and beans, I just love that combination, all were smiling as I waved to them leaving the parking lot. Harvesting is the best job in the vineyard, other than drinking the wine. Brianna is an Elmer Swenson variety, Elmer being the pioneer of having grapes here. Noted as "Brianna' can be made into a semi-sweet white wine with pronounced pineapple nose and flavor when fully ripe. He also noted that for light table wines with more grapefruit, tropical, and slight floral characteristics". See you this Saturday, last night I went with Iza, granddaughter, to pickup lemons for her lemonade stand. She does make gooood lemonade. Don't miss that this event in also includes Grape Stomping! Where was Iza on Sundays this Spring? Last spring Jon would take Iza to Hungarian Kids club on Sundays. Therefore I got more than my share of Sunday tours. I didn't really know what they were doing on these days, by accident I discovered a video of one of their activities. I don't know what they are saying but it looks fun to me. Click on the image below to activate video. This weekend Sept. 12 & 13. "The Hungarians present Live Ethnic Music and Dance". Performing a variety of music Genre. Live Music Duke Zecco, First Harvest in, Pop-eye the Sailor Man, toot toot! Yes, I missed writing last week. Mary and I were gone to the Apostle Islands sailing. There were four of us, I was the second mate and Mary was the passenger. Tom and Becky Pilger were Captain and first mate. We anchored two night in the islands, beautiful sunsets and wonderful view of the northern light. It was a good little vacation, getting back home felt good. Mark your calendar, this will come fast! "The Rockin Stompin Grape Stomp!" "The Hungarian Event is September 12th"
Last Wednesday we harvested the Valiant grapes. A dozen of us worked to bring in about 1,500 lbs. and they tasted good, they were a really good crew. This make the wine called "Nordsüss", It is sweet, light, and fruity, the quintessential "American grape juice" kind of taste that will probably remind you of grape juice from your childhood. Next Tuesday we'll be harvesting the grape Brianna, this makes the wine "Schnickelfritz". Our biggest harvest parties are still to come. If you like a party, this is the time to sign up. The list is growing, Jon told me we could have a record harvest this year. 1.Being a harvest volunteer means working about 4 hour in the vineyard cutting off clusters of grapes into pails, those pails then dump into bins right in the vineyard. 2. We then haul the bins to the winery for processing. 3. Usually we start about 8:30 in the morning complete by 12:30. 4. Then we bring in a very nice meal, all the wine you'd like to drink. 5. Then send bottles of wine home with you. I don't have specific date now, to register I need your name, a good phone number, days of the week when you can come, and how many people in your group. Some of the harvest is on weekday and some on weekends, the variable is how the when the grapes are a peak flavor to harvest. All of our contact is via phone voice, not texting, therefore a good phone number is important. email to donmillner@gmail.com with the subject line "2015 Harvest Party!" Free Music this Saturday and Sunday! 50's, 60's, 70's on his 12 sting guitar.